How do I use the numbers to run my business? It’s no secret that Jack Mencini and Adam Sonnhalter hosts of Dirty Secrets of Small Business encounter many “how questions” when coaching their clients at Maximum Value Partners www.maximumvp.com. On this week’s show, they zero in on one key how question that plagues more small business owners than you can imagine: How do I use the numbers to run my business? Many small business owners just do not understand the numbers. Or even how to explain the profit & loss statement and the balance sheet. It’s not their fault. We typically find that no one has ever explained to the owner “why” these reports are important and how they can be so helpful and comforting when it comes to running and managing their business. Our experience has been that the majority of business owners want to understand how to properly use their numbers to run the business. The biggest challenge is they are typically too embarrassed to ask for help or they have been programmed to respond, “well that’s why I have a CPA.” What a load of bull! This approach leads to lots of upset business owners when they don’t have cash to pay hefty tax bills from profits that aren’t in the bank come tax time. If you’re the business owner, you need to take ownership of your numbers, not delegate that to someone else. Being able to talk about sales and invoices, accounts receivable, accounts payable, and payroll is a good start, but there is so much more to running by the numbers. Perhaps most important is the ability to forecast your business and create a Profit Plan that shows how your business will make money this year. Why wouldn’t you as the business owner want to understand how you are going to make money this year? If you don’t care, no one else will. Jack and Adam also announced that Dirty Secrets of Small Business is making the move to prime time! Starting on May 3, the show will air live on Wednesdays from 7:30 pm (EST) to 8:30 pm (EST) right after Tech Talk on WINT 1330 AM. 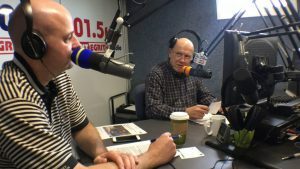 The move to Wednesday evenings has the small business coaches, as part of the station’s must-listen-to lineup with other business shows scheduled to air in the evening time slots. If you have a success story or a question you would like to share, email or call (radio@maximumvp.com or 877-849-0670). 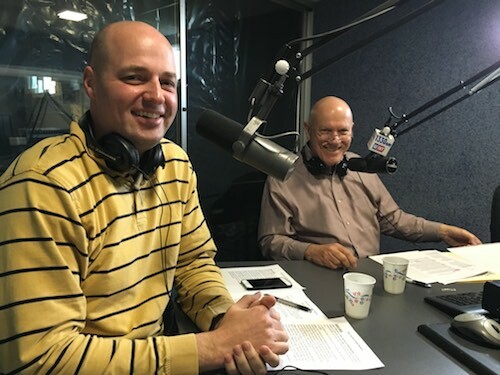 You can also call in during the show each week during April at noon (EST) – 1:00 pm on WINT 1330 AM, call 440-946-9468 to ask your question to the Maximum Value Partners’ coaches or tweet your question to @MaximumVP. The post How do I use the numbers to run my business? appeared first on Maximum Value Partners. How do I document stuff?